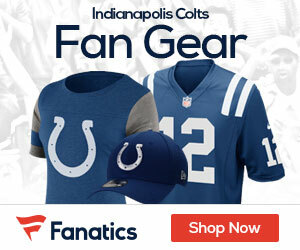 « Poll: How Many Wins Will the Colts Have in 2011? ESPN reports that the daddy of Peyton Manning, former NFL thrower Archie Manning, says that his son will be ready for the 2011 season once the lockout gets settled. Former NFL quarterback Archie Manning says his son, Peyton, should recover from neck surgery by the start of the NFL season. Speaking at Jim Kelly’s charity golf event in Batavia, N.Y., about 40 miles east of Buffalo, Manning told reporters the Colts quarterback is “not where he wants to be” 10 days after surgery and that “hopefully” it will work out. Peyton Manning told The Indianapolis Star last month that the procedure, his second neck surgery in the past 15 months, was “minimally invasive” and that he expected to make “a quick recovery.” The four-time NFL MVP told The Star that the surgery revolved around a disk-related issue in his neck that had created discomfort recently. “There is plenty of time for recovery,” Manning told The Star, referring to the lockout that is now in its third month. Colts owner Jim Irsay says he expects Manning to be ready for the start of training camp — whenever that is.